Looking around her brand new 350-square-foot home in Detroit, Gladys Ferguson can’t pinpoint what she likes best about her tiny house. She likes it all.“The whole thing,” said Ferguson, 63. “In and out. 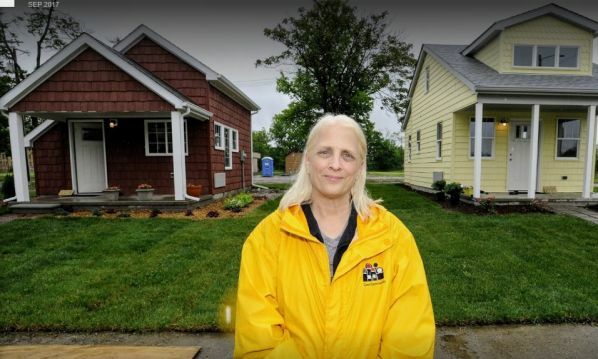 It was built from the ground and it was built for me.”Ferguson is one of the first residents of Cass Tiny Homes, a development of tiny homes in Detroit just west of M-10 at Elmhurst that could prove to be a new model for low-income housing in the city. Developed by Cass Community Social Services on land where abandoned houses once stood, the $1.5 million project, the largest of its kind in Detroit, has made national headlines.More than 100 people applied to live in the rent-to-own houses — rent is based on square footage, or $1 per square foot — during an application period in October 2016. Since then, an additional 900 people have expressed an interest in the development.“There’s a tremendous need,” said the Rev. Faith Fowler, the head of Cass Community Social Services, who came up with the idea for the development.